Home/Laser Treatment/From Waxing and Razor to Laser: Here’s Why You Should Switch Too! If you are on a hunt for a sensible solution for unwanted hair, there are options where you get to spend your money wisely. Waxing and shaving have been the usual methods. But how is it going so far for you? 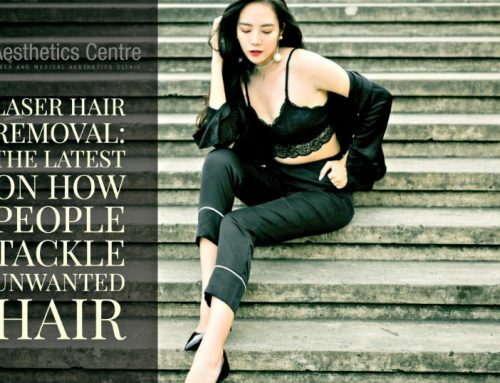 For those who want to make the most of their time and money, laser hair removal enters the stage with a lot of promise for the pragmatic user. So, let’s strip it down to see why it deserves a part of your budget and why it might be worth an upgrade. For you to weigh things objectively, it helps to look at the two common solutions in hair removal.  This is for you to see what you are giving up in favor of laser hair removal, or, if it is really worth giving up your usual routine. Waxing is that hair removal method that have scared most people out of trying it, while leaving others traumatised. However, for those who have tried and are brave enough to go through it on a regular basis, waxing has given them a faster and cleaner option to shaving. The reputation of hair waxing does not always leave a pleasant picture in our heads. It is true that waxing can be uncomfortable, if not unnerving. The experience actually depends on a person’s pain tolerance and the skill that the person doing it has. Some people find it tolerable the more they do it. In terms of quality, waxing can leave the area smooth and hairless fast. It gives you better results than plucking because it doesn’t leave the skin with nicks and bumps. However, it does have the tendency to result in ingrown hairs. Depending on the areas you want to work on, hair waxing can be time-consuming. The results can last around 3-8 weeks depending on your hair type and its thickness. Regrowth will take time because you remove hair right from the roots. This cost will depend on the areas that you want to focus on and where you get it done.The type of wax will also affect the cost as some are better quality compared to others, which actually makes the procedure less painful. But what is true is that, overall, this is pricier than shaving. One of the drawbacks of waxing is that you have to grow your hair before you can get it done. Removal is effective when the hairs grow at least a quarter of an inch because this gives the wax something to adhere to so each hair strand can be uprooted. Poor technique can also make waxing severely painful and the risk for injury can be higher. So, if you are not sure about doing it yourself, going for professional service is the wiser choice. If you calculate the cost for an entire year for all the salon trips for upkeep, it can put a dent in the budget. The pain that it has been known for doesn’t make this an easy option for everyone. This makes waxing an endeavour only the willing or the brave can endure. Shaving, on the other hand, is a quick hair removal technique that is easy and convenient for most people. Whether you are rushing for that date in a few hours, or trying to look slick and clean for work later, shaving does the job. It has been a time-tested standby for hair removal as it is one of convenience. Razors are also ubiquitous and cheap, although you can splurge on sophisticated and durable brands at a higher price. At a glance, shaving isn’t that bad a deal, but let’s lean in closer for a better look. Compared to those cringe-worthy waxing sessions, shaving may seem like a walk in the park. It is often painless, unless you cut yourself, but investing in a good razor can give good results with less discomfort. The quality of results will really depend on how well you do it. Yes, even something as simple as shaving also has to adhere to some technique if you want good results. Shaving can only take a few minutes to complete. The American Laser Centres conducted a study and found that the average shaving time for women is 10.9 minutes and average shaving of 12 times per month. The results are immediate however, hair regrowth can already occur within a few hours or a few days. It is not the most effective method in terms of longevity. A razor blade in Singapore can be as low as $6 all the way up to $28. You also have to factor in other shaving products. Shaving may be a convenient solution for unwanted hair, but it doesn’t always promise good results. Electric razors may do the job but they don’t guarantee a closer shave. Ingrowns, nicks, and razor burns also cause aesthetic concerns. On average men spend 3,000 hours, or 4 months of their life shaving or trimming their facial hair. Meanwhile, women spend around 8 weeks of their life running a metal blade on their skin. Imagine what you can do with all that time if you had a better option. As far as hygiene is concerned, a recent study showed that “Participants who reported use of any vaginal/genital health and hygiene product(s) had approximately three times higher odds of reporting any adverse health condition.” Think nasty infections like gonorrhea, chlamydia, and herpes. To top it all off, shaving is not eco-friendly with an estimated 2 billion razors thrown away each year. Laser hair removal sounds intimidating and expensive up front, but this treatment has attracted many for the promise of permanent results. Since its emergence in the 90s, laser hair removal has provided impressive outcomes and the technology all but improves every year. Lasers for hair removal come in different types and strengths. There are four different lasers that are typically used for hair removal, although there are many other patented ones that do exist. There are four lasers that are commonly used today—Ruby, Alexandrite, Diode and Nd:YAG— each with their own distinct advantages. 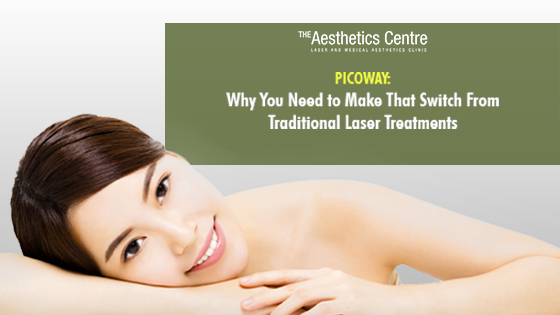 Ruby lasers are considered old timers, having been used for hair removal for quite some time. They produce a small beam of light making them ideal for people with fairer skin and darker hair. 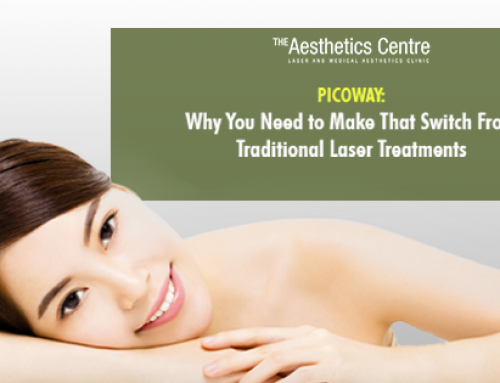 However, this also means that laser hair removal sessions are sometimes longer since they require more pulses of light targeting the treatment area. Ruby lasers lost their luster with the advent of newer laser technologies. They cause direct, selective damage to follicles while preserving skin integrity. Alexandrite lasers produce a longer beam of light than the Ruby which means fewer pulses are needed to get the work done. Fewer pulses mean less patient discomfort. They can be used on a wider range of skin tones and hair color combinations. They come with rapid pulses, making them appropriate for quick treatments on large surface areas. This level of frequency in pulsations can be uncomfortable but this laser hair removal system often delivers permanent results. Diode lasers offer a gentler touch as they remove the hair while protecting the skin to ensure minimal damage to the surrounding tissue. They are effective on people with light to medium skin tones. They also provide fast sessions with little to no downtime. While they come with a bit of redness after treatment, this will be minimal and will gradually dissipate within two days. Nd:YAG is the newbie in the industry with an innovative hair removal system that can distinguish subtleties in pigmentation. It is effective in removing hair on any skin tone. It also produces the longest beams, hence it requires fewer pulses. Its level of efficiency means shorter sessions, minimal patient discomfort, and reduced risk of complications. IPL and laser produce energy to disrupt the growth cycle of each hair follicle while sparing the surrounding skin from damage. However, this is where the similarities end. IPL is different from lasers. The machine produces a broad spectrum of wavelengths similar to that of a light bulb and it cannot be focused into a concentrated beam. With a range of varying wavelengths dispersed at a different depths, only some of these will be effective for hair reduction. IPL has gained less favour compared to lasers because of its outdated technology, and it is also not as efficient in terms of hair removal. The next time you hear about an offer or a deal about hair removal treatments that sounds too good to be true, always ask what technology is used. The effectiveness of laser hair removal largely depends on the hair cycle. Ninety percent of the time, hair is in the anagen state or a growing phase which is an appropriate time for removal. In its catagen and telogen phases, the hair is sleeping and is not as responsive to laser treatments. That is why multiple sessions are needed to get good results from laser hair removal. 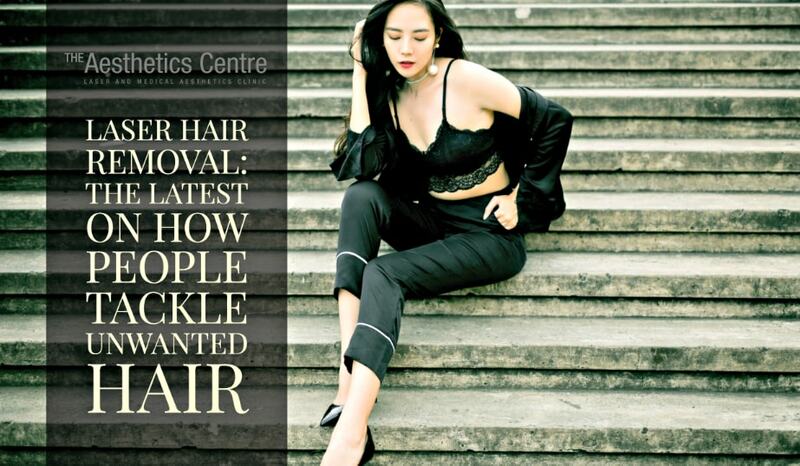 With this kind of treatment, the basis is that no matter what wavelength we set, we actually aim to hit the area of the bulge or the root of the hair itself. If your hair is white, it is not suitable for laser because we need a chromophore, or a target, to hit. So laser hair removal only works if you have dark hair. In this regard, we can now talk about laser’s cooling system. This is important for two things, patient comfort and protection of the epidermis or the upper part of your skin. With laser hair removal, the goal is to preserve the upper part of the skin while delivering all the energy to where the hair bulb is. If you look back at the old-fashioned systems like the IPL, the cooling system uses a sapphire crystal. The same is also used in newer cooling systems, but another way to decrease pain is by suctioning the skin while delivering a pulsing action. Another cooling system involves the use of a Zimmer machine which blows cold air. Laser hair removal requires 6-8 sessions. Even with sophisticated technology, it doesn’t work like magic by simply zapping your hairs out of existence. It requires multiple sessions because each hair grows at different rates and are only responsive when they are in their growth stage. Compared to shaving and waxing, laser hair removal is easily the most expensive option up front. However, the catch is that you get it for just 6-8 sessions and you get to enjoy long-lasting or even permanent results. Meanwhile, shaving and waxing is done indefinitely with costs that can also surpass that of laser treatments. The Aesthetics Centre provide laser hair removal treatments for those who wish to do away with the inconvenience of shaving or waxing. This is also the right choice if you are just done with ingrown hairs, razor burns, chicken skin, or darkening. It may be a pricier option, but think of the long-term. Think of the time you are saving, the hassle you are avoiding, and the results you are actually getting. If you want to get value for your money, investing in a treatment that is efficient and effective with permanent results is definitely worth the upgrade. Book your appointment with Dr. Soosay today and let’s set you on the road to hairless and flawless skin.